I always thought color is not just color! What I mean is besides being a physical phenomenon of receptors in the eye etc...color is a base for so many things. 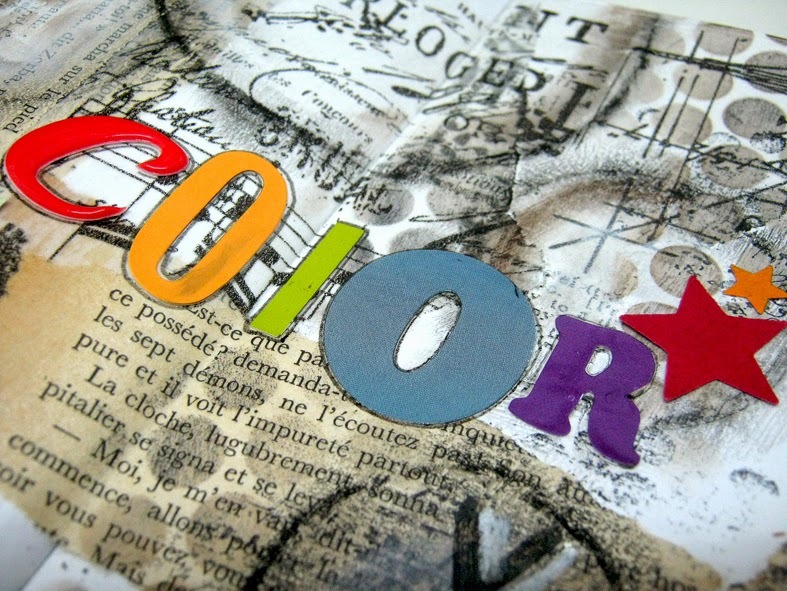 Color can define us, describe our mood, encourage us or bring us down. it can calm us down or make us scream and it's everywhere! We are so lucky to see the world in colors (unlike dogs...) and we take it for granted up to a point we don't even notice it sometimes. Well...I love color and I wanted to create art about it! 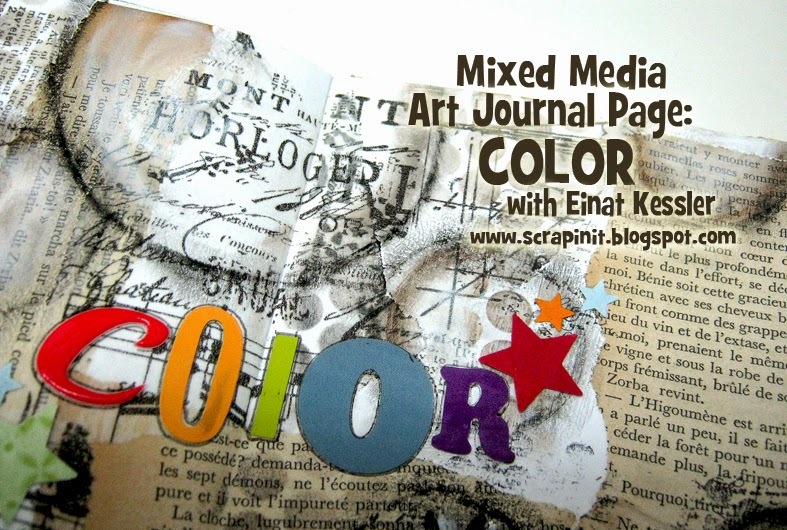 This art journal page is all about the contrast between what is monochromatic, boring, dreary and tired and the brightness, joy and happiness that is color. Even though there is so much texture, shapes and shades in the background without color something is missing! 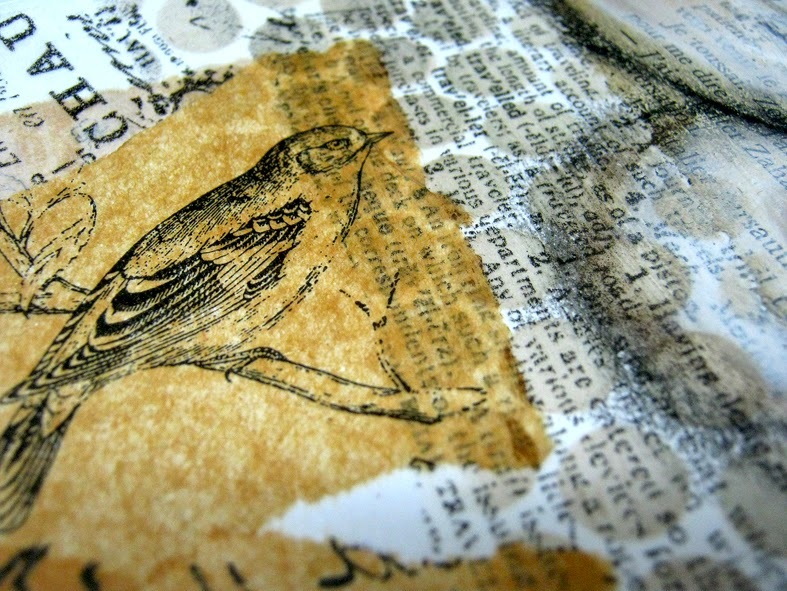 I created the background with tissue papers and old book pages. Then drew circles with oil pastels and added stenciling with distress ink. all done in black, white and brown. Then I added the word color in letter stickers in different rainbow colors along with some punched stars. 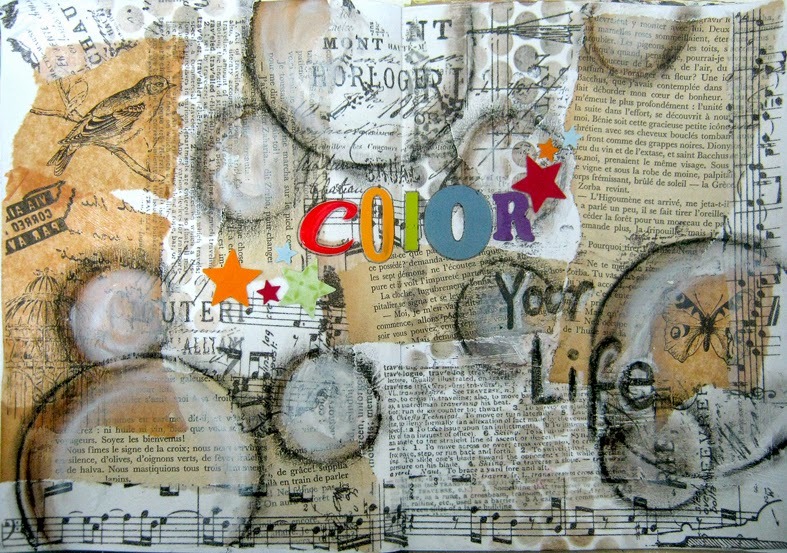 Color your life, add happiness, joy and diversity to everything you do including your art! 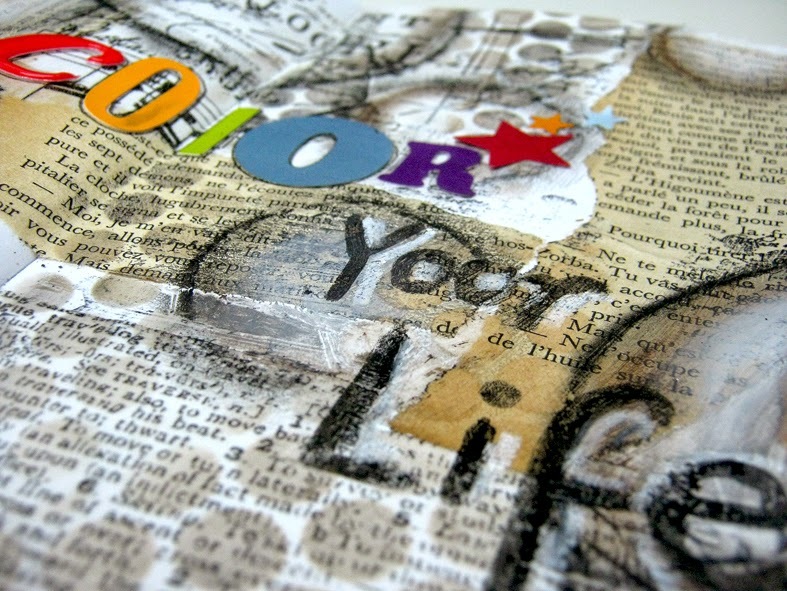 This was a fun and quick art journal page and I encourage you to try it! Watch the video for a step by step tutorial. 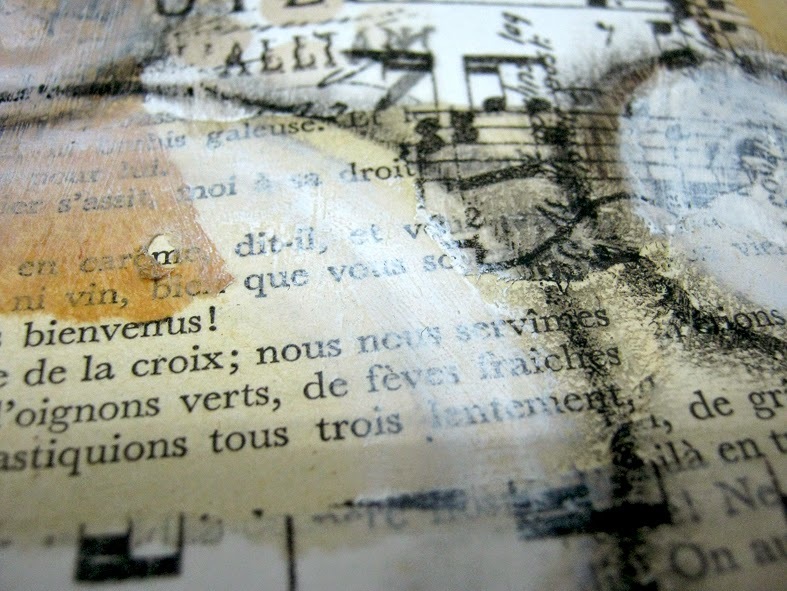 What a so beautiful page of Art Journal !! I like it very much, splendid ! big hug.